Hello guys, today I am going to talk about an interesting binary tree based coding problem from Programming Job interviews. If you have attended a couple of technical interviews then there is a good chance that you already have seen this question about counting a number of leaf nodes in a binary tree. If you know how to solve this problem then it's well and good but if you haven't don't worry, you will learn in this article. If you follow this blog then you might know that I have discussed a lot of data structure and algorithms problems here, including array, linked list, hash table, binary tree, and binary search tree. If you remember then you can use the same algorithm to count a number of leaf nodes in the binary tree which we have used in the last article, while printing all leaf nodes of a binary tree in Java, using both recursion and iteration. The logic is the same for the leaf node, any node whose left and right children are null is known as a leaf node in a binary tree. They are the nodes which reside in the last level of a binary tree and they don't have any children. 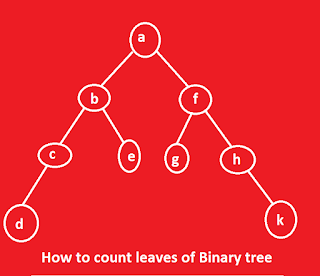 In order to count the total number of leaf nodes in a binary tree, you need to traverse the tree and increase the count variable whenever you see a leaf node. 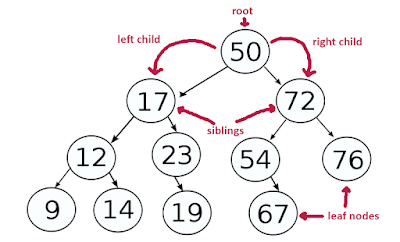 Since a binary tree is an essential data structure and algorithm topics for programming interviews, it's better to prepare these kinds of questions. I'll show how to solve this using both recursion and iteration in Java in this article. I have also been writing posts about some essential data structure and algorithms for quite some time now and I think it's a good time to just look back on what I have covered so far and what you can expect in future. I have also covered a lot of topics on the array, which you can see here and a lot of topics on String algorithm, available here. In the future, I am thinking to continue with more tree algorithms and also include some advanced String searching algorithms like Rabin-Karp and Knuth-Morris-Pratt Algorithms. 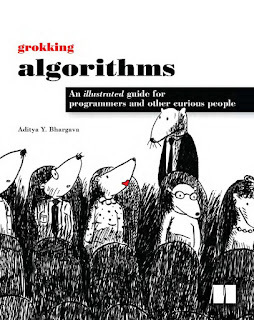 If you not heard of these algorithms before, I suggest you reading Introduction to Algorithms book. One of the classic book to learn data structure and algorithms. The algorithm to count a total number of leaf nodes is very similar to the earlier problem about printing leaf node. There are two reasons for doing that, the first earlier method expects a starting node, which should be root. It's cleaner for the client to just call this method as root is already available to BinaryTree class. The wrapper method then passes the root to the actual method which counts leaf nodes. The wrapper method is public so that the client can access it and the actual method is private so that nobody can see it and the developer can change the implementation in future without affecting clients. This is actually a standard pattern of exposing recursive methods which need a parameter. Btw, if you understand recursion but struggle to write recursive methods to solve real-world problems like this one, then you should join a good course on Algorithms and Data structure like Algorithms and Data Structures - Part 1 and 2 on Pluralsight, which will not only teach you basics like this but also how to calculate time and space complexity of a particular solution, often needed in coding interview to prove that your solution passes the performance requirement. 1) if the root is null then return zero. 5) pop the last node and push left and right children of the last node if they are not null. You can see the logic is quite straightforward. The time complexity of this algorithm is O(n) because you need to visit all nodes of the binary tree to count a total number of leaf nodes. The Stack is a LIFO data structure and we have used the JDK implementation java.util.Stack which also extends the Vector class. You can further see a good data structure and algorithm books like Grokking Algorithms by Aditya Bhargava to learn more about Stack and LIFO data structures. Unlike other books, this explains the concept in a much more interesting way and makes this complex topic bit easier. Here is the complete program to count a total number of leaf nodes in a given binary tree in Java. This program demonstrates both recursive and iterative algorithm to solve this problem. In this program, we'll use the following binary tree for testing purpose. Since there are four leaf nodes in this tree (d, e, g, and h), your program should print 4. The countLeafNodesRecursively() method solves this problem using recursion and countLeafNodes() solves this problem without recursion. The working of methods is explained in the previous paragraph. * with and without recursion. * Java method to calculate number of leaf node in binary tree. * @return count of leaf nodes. That's all about how to count the number of leaf nodes in a binary tree in Java. You have learned to solve this problem both by using recursion and iteration. As in most cases, the recursive algorithm is easier to write, read and understand that the iterative algorithm, but, even the iterative algorithm is not as tough as the iterative quicksort or iterative post-order traversal algorithm. Thanks for reading this article so far. If you like this article then please share with your friends and colleagues. If you have any question or doubt then please let us know and I'll try to find an answer for you. As always suggestions, comments, innovative and better answers are most welcome. P. S. If you are thinking what's next, well the master challenge for any serious programmer is to solve data structure and algorithm problems given in Algorithm Design Manual by Steven S. Skiena. If you solve those without taking help from the Internet, you will be in a separate league of programmers. Your solution is very neat. I loved the seperation you did to the code, in order to make two methods. I wish you the best!